Creating a beast such as this is no easy feat, so luckily I had help on hand from the very lovely Annabelle of The Teaspoon Collective. 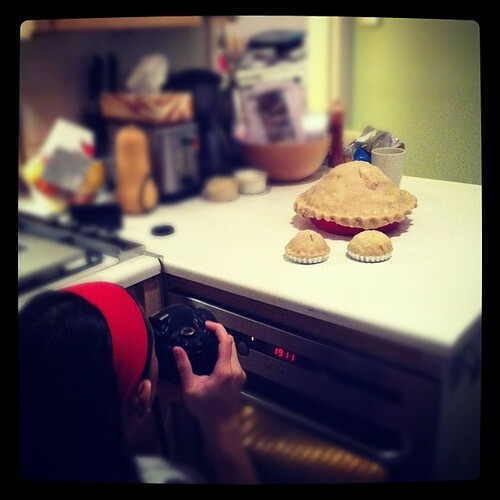 Freshly moved into London from Vancouver, Annabelle had insisted that she would like nothing better than to witness the fitness of the making of the pie… I then somehow convinced her that peeling and slicing 24 apples (yes, 24 freaking apples) was exactly how she wanted to spend the Wednesday afternoon of her first week in town, that this, in fact, would complete her life and London experience. Oh lovely, sweet, naive Annabelle… just kidding, but I did abandon her in the kitchen for 15 minutes whilst I disappeared to the shops to pick up some more flour (I had a giant bag in the cupboard and still managed to run out – stupid Paula) and when I returned she was still slicing apples. When I finished making the pastry ten minutes later, she was – you guessed it – still slicing apples. Poor Annabelle. 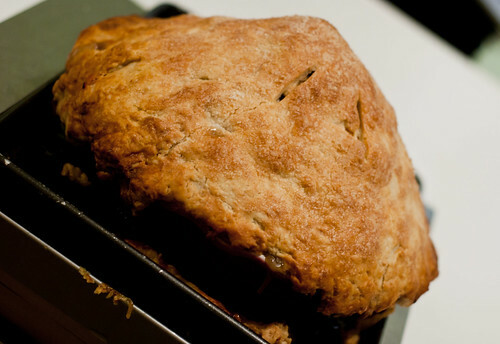 The Savannah High Apple Pie is, apparently, “based on” The Blue Owl Bakery’s signature pie, the Levee High Apple Pie. Claiming to be one of Oprah’s top holiday baked goods, this monster of a pie is characterised by its foot high stature and caramel-pecan topping. Now let’s just take a step back for a moment, shall we? Apples in pie? Good. Caramel and pecans? Good. Apple pie with caramel and pecans? Very good. Apple pie with caramel and pecan topping at a foot high and containing twenty-four apples?! Have you lost your damn mind?! In what world is anybody going to be able to eat a pie like that? How the heck do you even slice it up? Does one person eat one slice or do you give a slice to an entire family? 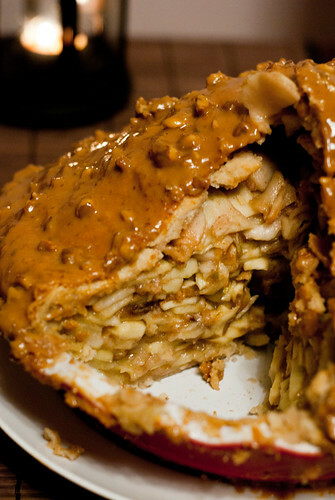 Is this pie single-handedly responsible for the obesity rate in America?! If I eat this pie am I going to have a heart-attack? How did Paula Deen get hit in the head with a ham?! Now hang on a minute, Paula – are you seriously telling me to build the apple layers in a bowl, then invert that onto a pie dish?! Well, not only do I not own a stainless steel bowl, you haven’t even specified how large a pie dish this is intended for and doing this topsy-turvy method just seems a little… well, mental. After a quick discussion with Annabelle and a very baffled few minutes re-reading said instruction we decided to ditch the invert-method and go for a domed build in the pie dish. Honestly? I think we could’ve used more apples. I mean maybe, like, six more, purely because our apple dome was a little more like a small witch’s hat than the giant elephant turd-esque Paula creation. Regardless it was time to pastry up the beast, brush with milk, sprinkle with sugar and whack it in the oven. Top photo credit: Annabelle Choi. We even had enough pastry and apples leftover to make two Baby pies to accompany the giant Momma pie. And just in case you were wondering, this is what it looks like in my kitchen when I’m making a dish for the blog – the kitchen’s a mess, I’m a mess and I’m usually assuming some kind of nina pose as I attempt to take a photo. WATAAA! An hour and a half later and there it was, almost too heavy to lift out of the oven, the crust crunchy and the filling bubbling a little. We heaved it onto the counter and stared at it for a few moments. The babies had already come out of the oven half an hour before and were cooling on the counter. It could’ve been eaten as is but no, this is Paula, remember? 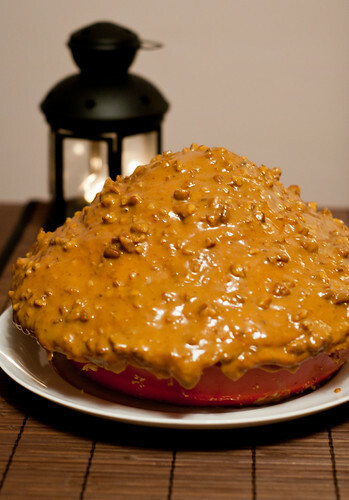 Not satisfied with two types of fat, two types of sugar in three different capacities and a heck load of apples, she had to go and douse the entire thing with a caramel pecan sauce, consisting of melted caramel, evaporated milk and more pecans. By this point we were getting a little sick of Paula and her stupid pie – Annabelle was probably quietly cursing the mutual friend who had introduced us and wondering why she had to get stuck with this strange girl who made her slice 24 apples and who kept bashing the overhead light with a mop to make it turn on because of dodgy wiring – but the sauce had to be made. Luckily this was quick but unfortunately the actual pouring of it onto the pie/s looked completely and disgustingly inedible. We stood back and looked at “The Paula Deen” (as we’d dubbed it) in horror and fascination. I felt a little like Dr. Frankenstein, looking on his creation for the first time and realising with a sickening jolt exactly what he’d done. The poor little baby pies were the saddest of all, smothered in caramel sauce to the point where it was hard to tell where the pie began and the pastry tin ended. But looking isn’t tasting, so we grabbed our teaspoons and dug into the baby pie. You know, it was surprisingly tasty. The tart apples were counterbalanced by the sweet caramel and yes, the pastry may have had a heart-stoppingly large amount of vegetable shortening in it, but its flaky crunchiness was beyond compare. The nuts too, were the perfect texture. As for the Momma Pie, it probably could’ve done with an extra 15 minutes in the oven, just to really crisp up the bottom of the pastry and I’m still unconvinced that one person – or even two – could eat a single slice (we certainly struggled and only managed a few bites each) but the flavour wasn’t bad. I’d even go so far as to say that it was pretty damn good. However, as Annabelle said, I doubt even a homeless person would want to eat this pie, purely because of the way it looks – it’s a terrifying lesson in presentation or lack thereof. So Paula, your crazy recipe may have been pretty good in the flavour stakes but it’s an ugly, terrifying bugger and one I will not be making again… but then that’s mostly probably because Annabelle will never agree to slicing 24 apples for me ever again. Oh Paula. Oh. Paula. 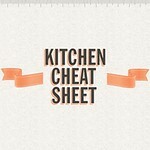 Adapted from Paula Deen at The Food Network. 2. 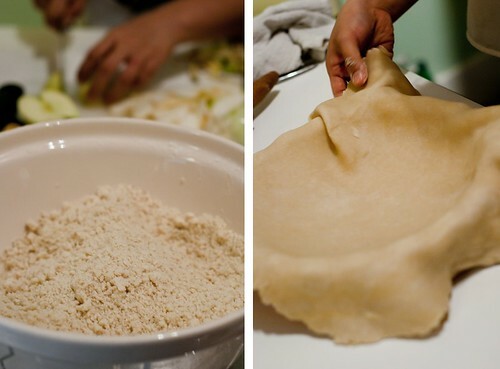 Make the pie crust: sift flour and salt together. Rub the shortening into the flour until it resembles crumbs. Make a well in the centre and add enough water to make a stiff dough, stirring with a wooden spoon. Towards the end use your hands to press and knead the mixture together in the bowl. Wrap in clingfilm and refrigerate for at least an hour. 3. 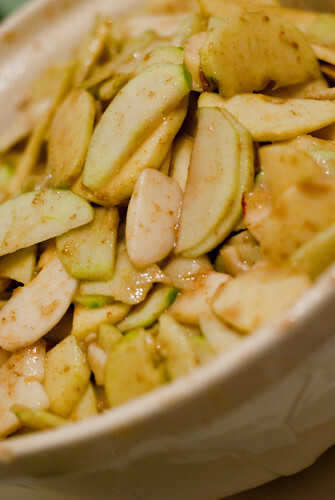 Make the filling: in a separate large bowl, combine the apples, flour, caster sugar and cinnamon and mix lightly with spatula. Set aside. 4. Make the streusel: in a small bowl combine together butter, brown sugar, flour, pecans and cinnamon. Set aside. 5. 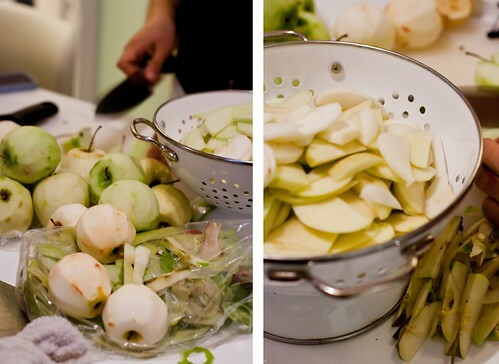 Layer the apples in the pie dish, starting in the base and working in concentric circles. Before starting the next layer, sprinkle the streusel over the top, making sure it’s well distributed. When your layer of apples has reached the top of the pie dish, layer the apples about half an inch from the edge of the previous outer layer, creating a domed shape. Press firmly between layers with both hands – this will also help to shape the dome. To follow Paula’s method, layer the apples slice by slice in a stainless steel bowl, slightly overlapping starting at the outside circle of the bowl and working towards the center. Push firmly as the layers build. 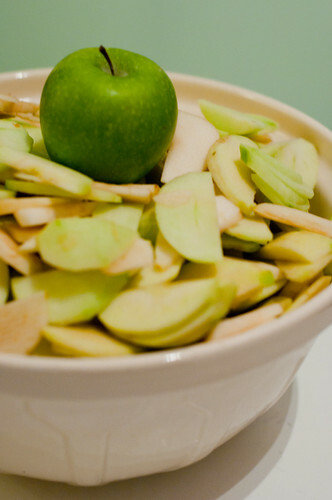 Round off top layer of apple slices when you reach the top. Put a single layer of sliced apples in the bottom crust. 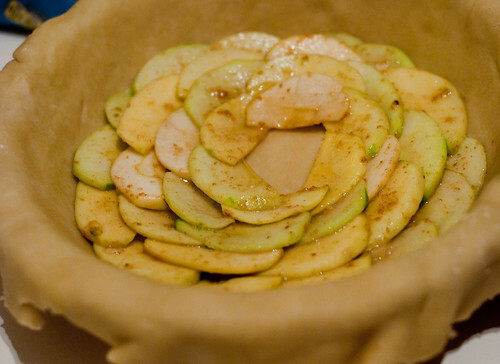 Take the pie pan with the bottom crust in left hand and the stainless bowl of sliced apples in right hand and invert. Put finger tips under edge of bowl to release the air and gently lift off. Press and firm apples and straighten. 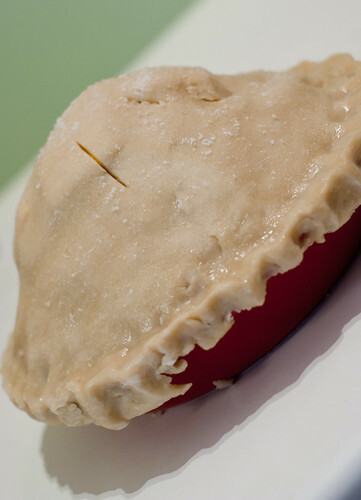 Add slices of apple to take away sharp edges (so as not to puncture the pie dough). Add slices of apples to top of pie to round off. 6. Place the butter pats on top of the apple slices. 7. 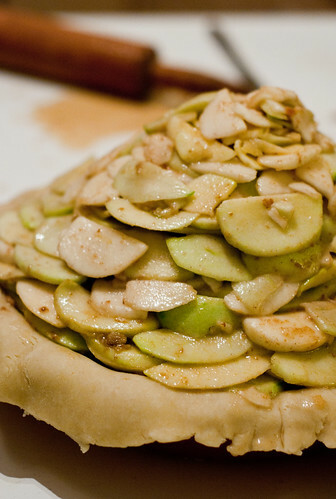 Roll out the top crust using the remaining pie dough and gently place it on top of the apples. Smooth the sides of the crust towards the bottom of the pie, pulling out on the extra crust. Pinch down to seal the two layers together. Crimp the pie for first time then cut the extra crust with the back of a sharp knife. Re-crimp the edges and push towards the pie. 8. Brush the whole pie with a pastry brush dipped in the milk, and sprinkle with the caster sugar, rubbing from the bottom of the pie up to spread it evenly. 9. Cut 5 steam vents with a small, sharp knife towards the upper part of the pie – be careful not to vent at the top as this will make the pie split open during baking. 10. Bake in the pre-heated oven for 1 1/2 – 1 3/4 hrs. Keep an eye on it – you may need to rotate it halfway during baking. 11. 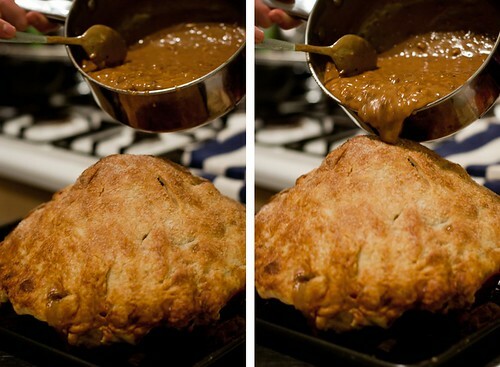 Let the pie cool for at least an hour or overnight (it’s easiest to work with when completely cool). 12. 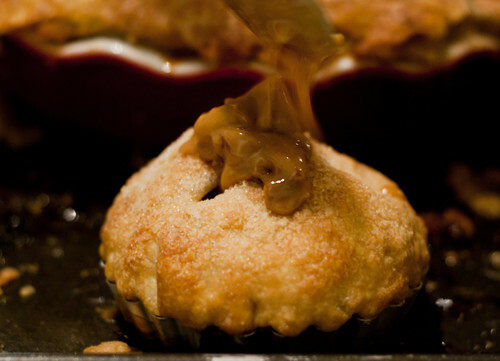 Make the topping: in a small pan over a medium-low heat, combine the caramel and evaporated milk and stir until smooth. Add the chopped pecans and stir to combine. Set aside. 13. 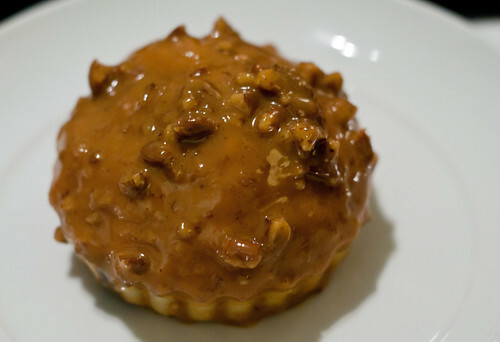 Assemble the pie: pour the the warm caramel pecan topping on top of the entire pie, using a spoon to fill in any gaps. It’s easiest to do this on top of a tray to catch the drips and minimise mess. 14. Serve hot or cold, with or without vanilla ice-cream or single cream. Marvel at the hot mess you’ve created and try not to think of elephant dung. You see? I make these weird things so that you don’t have to – it’s a win all round! Be sure to check out my dear friend Jackie’s post (now live!) to see how she got on with this ridiculous pie (much better than Annabelle and I, I suspect!). Happy Thanksgiving, folks. Hope it’s a tasty and happy one, that you get lots of time to think about the things you’re thankful for and spend the day with loved ones. Oh, and send me a pie. That is one monster pie!! How did you even dare attempt a PD recipe?? I stay away from those like my life depends on it… and it usually does! Good on you girl! That’s a ridunculous pie. I would have to down a bottle of tums after one slice. How many will be in one slice :p ? You are one brave and wacky woman, but we already knew that ;). That is one hell of a way to welcome a Vancouverite to London! I didn’t know whether to laugh or cry at the ridiculousness of this pie. Kudos to you and Paula for even attempting it. I could handle the *mini* ones you made but the main one….not for me. Who really eats something like that anyway? Y’all are crazy…crazy fun! Ha! That was funny. And I want a piece. Right now! HAHA. and that’s one very special apple pie i must say. never seen anything like that! This pie is insane!! It screams America. And 24 apples?! 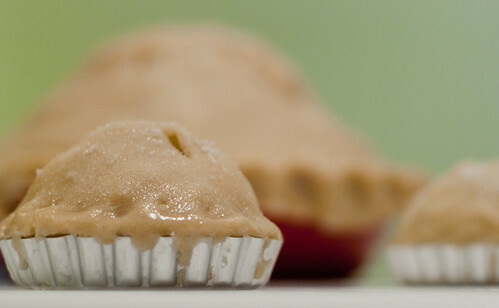 I love the two little baby pies though – they’re sorta cute.